People and the decisions they make, can drive the success or otherwise of farm businesses. Yes, farming is capital intensive, dynamic and subject to key risks; such as extreme weather events, weed, pest and disease outbreaks and commodity price fluctuations; but it is still the skills of farm managers that drives how the business performs over time. Extension Professionals can assist farmers and rural communities reach their goals, by helping them assess their skills and address opportunities for improvement. A farm skills audit is one way a farm business can help ensure they have the skills to have the business at the point it wants to be, now and into the future. An audit is an objective examination and evaluation of something to determine its current state. The term comes from the accounting world, where it is an official inspection of the financial accounts of a business or person, typically by an independent body, (Oxford Dictionary). Strategic: These are skills associated with setting the vision, business direction and goals and how they will be monitored and evaluated. Skills are also required in stakeholder engagement (within the business but also in engaging people outside of the business) to help set the right business direction and goals and carry out strategic planning, negotiation and effective business communication. Tactical Skills: These are the skills associated with ensuring the right key initiatives are taken to achieve the business vision and goals. They are skills associated with things like setting the right farming system, enterprise selection and planning and equipment purchases. Skills in establishing and monitoring budgets and in setting and monitoring livestock and crop production systems are also important at the tactical level. Skills in identifying and managing key risks, recruiting and staff arrangements fall into the tactical level. Essentially, these are the skills that ensure the day to day operational tasks are going to achieve the vision and business goals. 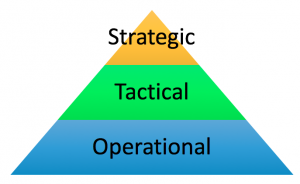 The tactical skills required for a business will vary depending upon the type of business involved. Where as strategic skills tend to be generic and are those required by any business. Operational Skills: These are the skills required to effectively carry out all of the day to day operational tasks required of a particular business. A skills audit will involve identifying all of the required operational tasks and then assessing whether the skill level is sufficient to ensure the tasks are completed successfully. Without framing a skills audit against these three levels, it is easy for businesses to slip into focussing on operational skills in isolation and not in context with the strategic and tactical skills that are required to ensure business success. Mastering skills takes practice, time and experience. It can be speeded up by expert training. Training is a focussed, specific and deliberate method of developing an understanding for and practicing a skill. Putting in processes to review skill development at key review points is important to assess how the level of skill in a business is changing over time. 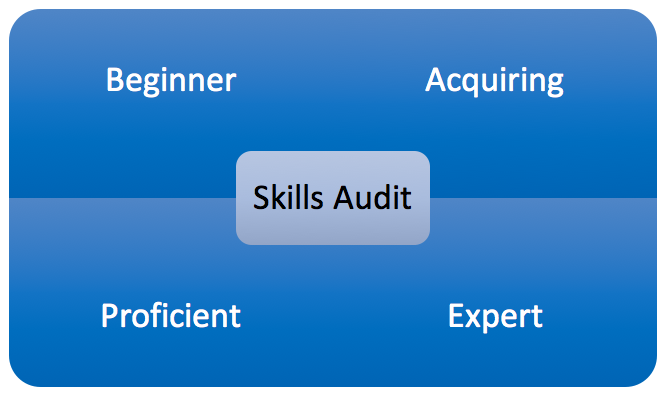 A skills audit in itself is an important strategic planning and review tool for any business.